Hey Everyone, Apologies for no post yesterday it was Christmas Party Day, however I'm back today with the second of the Christmas Countdown posts. This is beer number 2 of the 12 beers of Christmas, I hope you all enjoy !!! 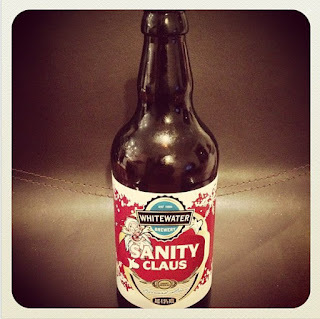 Sanity Claus is a very light, refreshing beer from the Whitewater Brewery. This is a beer that has a slight sweetness to it as well as a fruity quality. It is a very pleasant beer with a nice subtle flavouring to it. This beer is not overpowering in bitterness or alcohol which makes it a nice mellow beer. 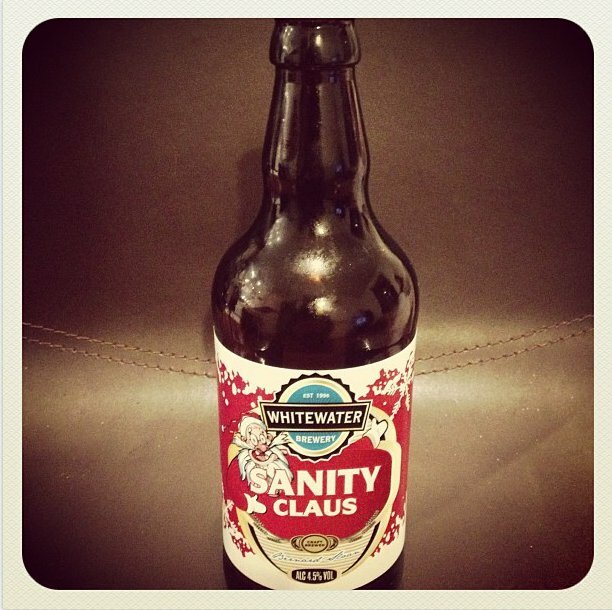 Sanity Claus isn't very deep in flavour for what I would class as a Christmas beer. When I think of a Christmas / Seasonal beer I think of a beer that is packed full of deep flavour and has a spice note to it, giving it a warming quality. Unfortunately this beer doesn't have those qualities, however this doesn't make it a bad beer at all, just not what I look for in a Christmas beer, but would still recommend it as a good beer. 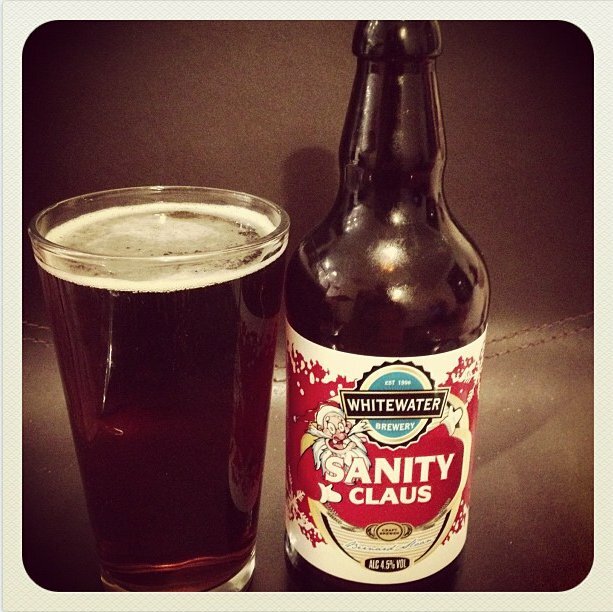 On the whole I think this is a nice, refreshing beer that would make you happy when drinking it, however if your looking for a deep, full flavoured beer with Christmas spicing and flavours then this isn't the beer for you.